W. Warder Norton and his wife Mary Dows Herter Norton incorporated the People’s Institute Publishing Co. in 1923 and in 1924 began publishing transcriptions of Cooper Union adult education lectures. Both Norton’s were on the board of directors of the People’s Institute at Cooper Union (an adult, continuing-education program) and thought the content of the lectures would have a wider appeal if published. The lectures were sold as the Lectures-In-Print series. The lectures were initially printed as chapter length documents, gathered together in slipcovers. 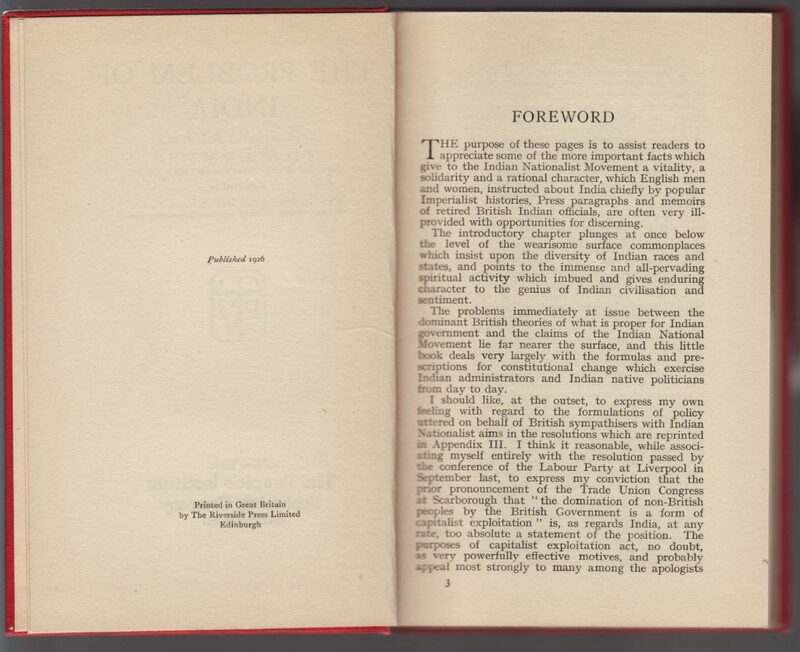 The success of the series led Norton to begin publishing the gathered lectures as books in 1925, the same year he began publishing titles under the name W.W. Norton & Co. (source). 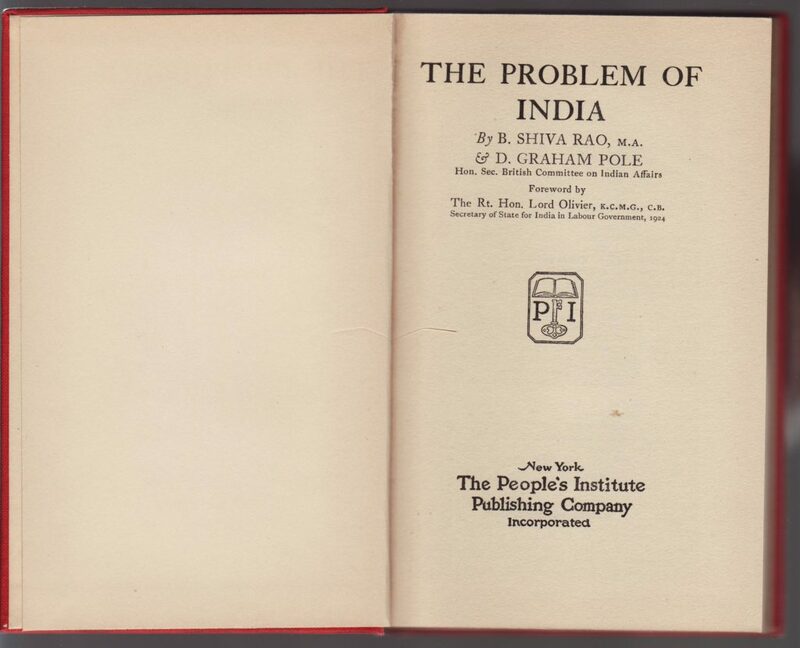 New books with the People’s Institute Publishing Co. imprint appear on titles through 1926, and reprints through 1930: thus the People’s Institute and W.W. Norton imprints overlap by at least 5 years. They were, in essence, the same company. The Dollar Series is peculiar in that the apparent series name does not appear on the dust jacket nor book. The series is also peculiar in that it was advertised as a W.W. Norton series (see below) but has the People’s Institute Publishing Co. imprint on the books. The latter, at least, makes sense as these books and this series was issued as the name of the publisher was being changed. Why the series name was not included on the books or jackets is a bit more mysterious. 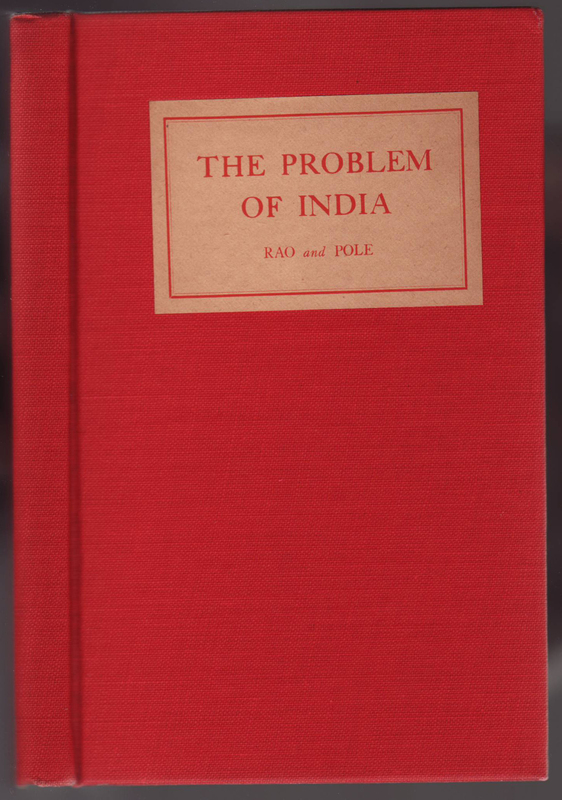 An advertisement in the American Mercury in 1926 (below; source) lists the series name and its three titles: Rao & Pole’s The Problem of India, Adkins’ Europe’s New Map, and Rosenberg’s How Britain is Governed. Each is priced at $1.00. 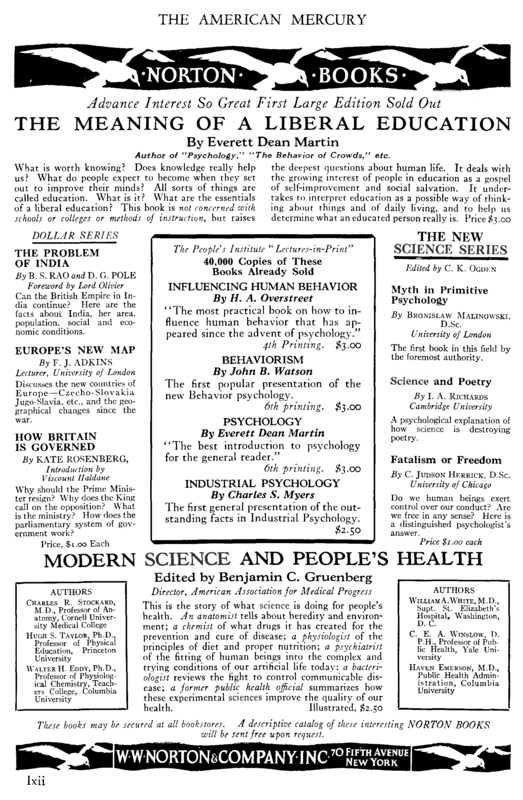 The advertisement also includes the New Science Series, which was first issued in 1926 under the W.W. Norton imprint. The Dollar Series was also advertised in Publishers Weekly, vol. 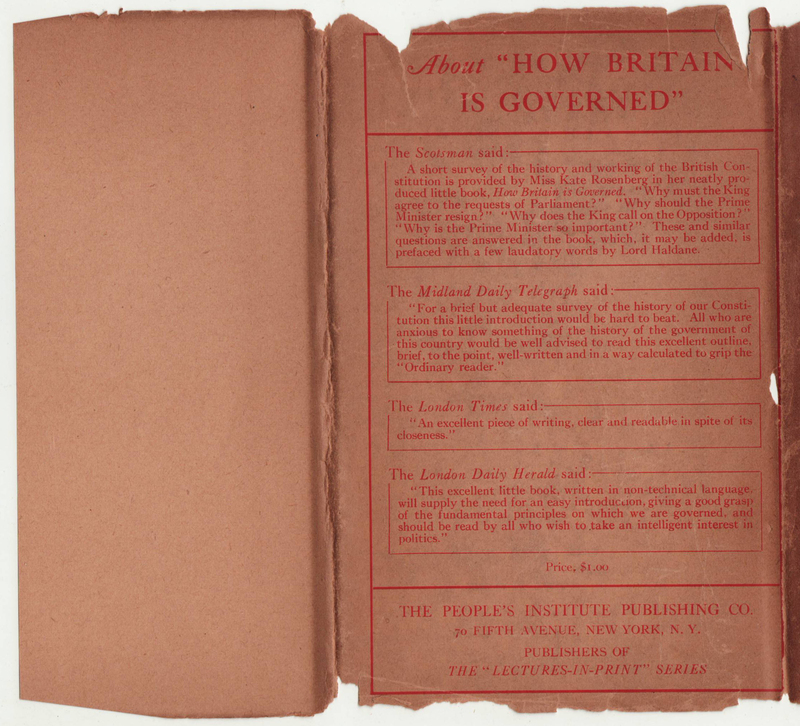 110, issue 2, 1926. 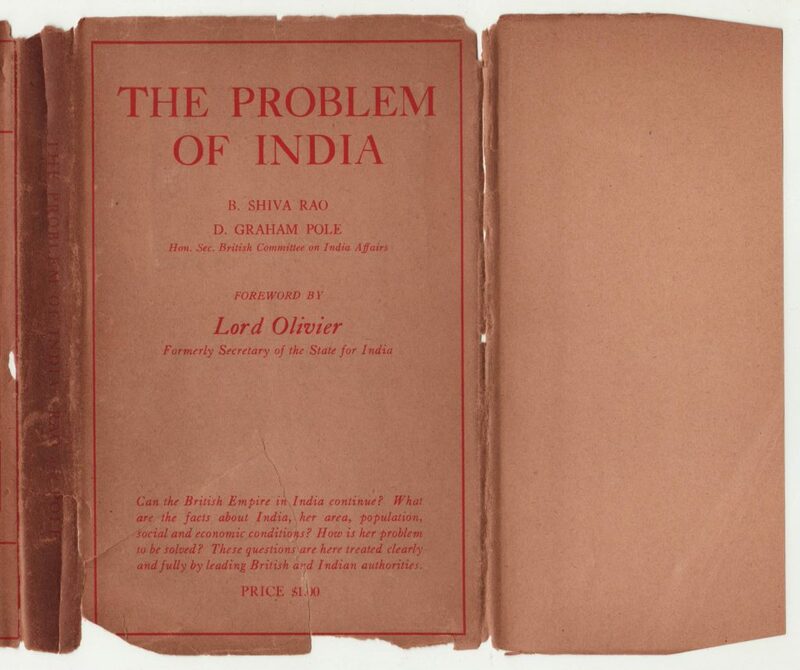 The Problem of India by B. Shiva Rao and D. Graham Pole was published in 1926 in the US by the People’s Institute Publishing Co. and in the UK by the Labour Publishing Co. of London. A second book in the Dollar Series, Rosenberg’s How Britain is Governed, was also published by the Labor Publishing Co. A third title in the series, Adkins’ Europe’s New Map, was published by the UK Publisher Noel Douglas in 1926. It probably is not a coincidence that the first series of books issued by the W.W. Norton Co., the New Science Series, first issued in 1926, consisted primarily of books originally published in the UK or co-published in the US and UK. The very short-lived Dollar Series may have, then, been a sort of precursor to the New Science Series. Jackets for the series (of three books) are common to the series. All printing on the jacket is in red. The spine includes the book title and authors. The front of the jacket is framed in red and includes the title, authors, and author of the foreword. A summary of the book is at the bottom of the front of the jacket, along with the $1.00 price. The front jacket flap is blank. These small books are cloth bound but with no printing on the binding itself. A printed paper sticker is placed on the front cover. The spine is blank. This binding style is reminiscent of other People’s Institute Publishing Co. titles. There is no half-title page. 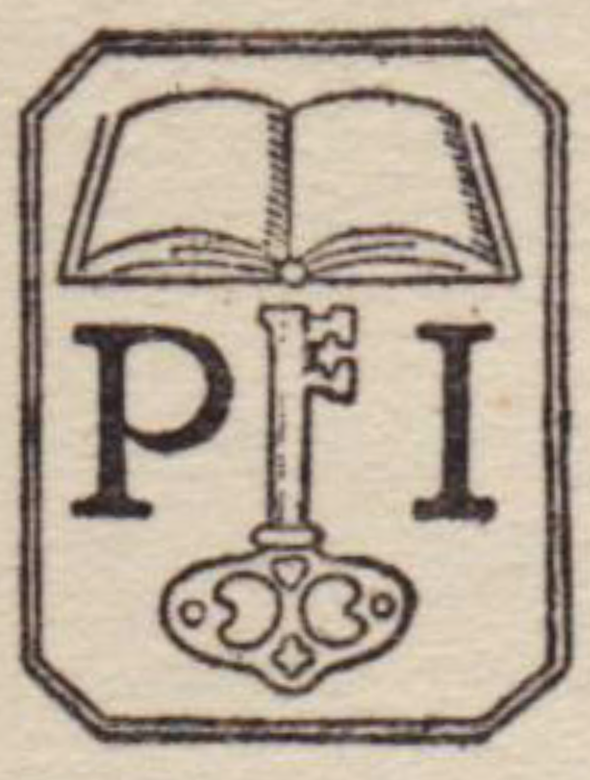 The title page includes a colophon for the publisher.